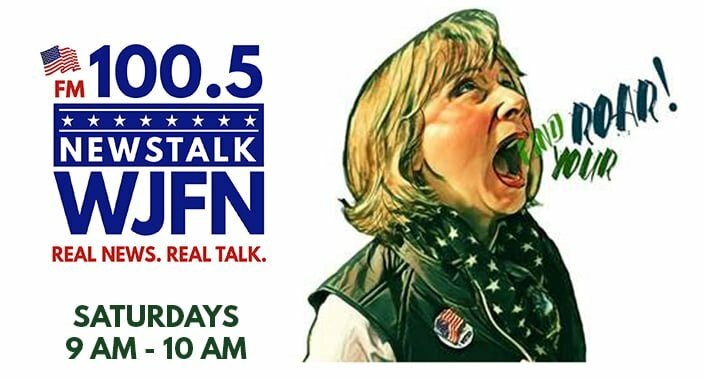 RICHMOND, VA – A powerful voice offering a woman’s point of view on politics is joining the airwaves on Virginia’s new home for state and national political news talk in Virginia – WJFN 100.5 FM on the radio dial, and www.WJFNRadio.com online. Susan Platt, a longtime congressional staff leader and award-winning political campaign manager who previously worked for former Vice President Joe Biden during his U.S. Senate tenure, is bringing her “Find Your Roar” hourly interview and news talk program to WJFN, a recently launched Richmond-based terrestrial radio station. “Find Your Roar” will air each Saturday morning from 9-10 a.m. EST on WJFN 100.5 FM. The new radio show is an offshoot of Platt’s popular online podcast and video series “PLATT-itude: Find Your Roar” that debuted in October. WJFN formally launched earlier this month. Its programming lineup is headlined by the John Fredericks Radio Show and host John Fredericks, an experienced media executive and conservative commentator who was the Virginia Chairman of the Donald J. Trump for President Campaign in 2016. Fredericks’ eponymous show is simulcast from Washington, D.C. and can be heard in media markets across Virginia including Richmond, Hampton Roads, Lynchburg, and Roanoke. The John Fredericks Radio Show is also heard in Jacksonville, FL. WJFN 100.5 FM is also the broadcast home of The Fighting Joe Morrissey Show hosted by its namesake, Joe Morrissey, a colorful and sometimes controversial criminal defense attorney who previously was an elected member of the Virginia House of Delegates and Richmond Commonwealth’s Attorney. Morrissey’s program can be heard on WJFN 100.5 FM from 10 a.m.-noon EST each Tuesday-Friday. He is a progressive Democrat who isn’t afraid to tackle tough topics or fight for the rights of those overlooked by society. Another former state Delegate, Chris Saxman, hosts the Virginia FREE Radio program each Monday from 10 a.m.-1 p.m. EST. Saxman is a former educator, a successful entrepreneur who represented the Staunton area for four terms in the state House, and a keen political thinker, theorist, and strategist. In 2008, he was the Virginia Co-Chairman of U.S. Senator John McCain’s presidential campaign. Saxman currently serves as Executive Director of the Virginia Foundation for Research and Economic Education (FREE). Farmer, attorney, policy maven, and conservative activist Martha Boneta of Fauquier County is also a member of the WJFN 100.5 FM team. Boneta is a frequent guest host on the John Fredericks Radio Show, as well as an entrepreneur, an agriculture advocate who successfully lobbied the Virginia General Assembly to change state law to protect property rights, and a sought-after speaker who has made guest appearances on Fox News and many other news stations and national media outlets. And coming early in 2019 on WJFN 100.5 FM is “The Gene Rossi Hour” hosted by Democrat Gene Rossi from Northern Virginia. Rossi is an attorney in private practice who spent years prosecuting dangerous criminals as an Assistant U.S. Attorney in the Eastern District of Virginia, and who ran for Virginia Lieutenant Governor in 2017. Rossi’s show will air on Saturdays.